Prof. Chao Lu obtained his BEng in Electronic Engineering from Tsinghua University, China in 1985, and his MSc and PhD from University of Manchester in 1987 and 1990 respectively. He joined the School of Electrical and Electronic Engineering, Nanyang Technological University, Singapore as Lecturer in 1991 and has been an Associate Professor since January 1999. From June 2002 to December 2005, he was seconded to the Institute for Infocomm Research, Agency for Science, Technology and Research (A*STAR), Singapore, as Program Director and Department Manager, helping to establish a research group in the area of optical communication and fibre devices. Since April 2006, he has been a Professor in the Department of Electronic and Information Engineering, Hong Kong Polytechnic University. 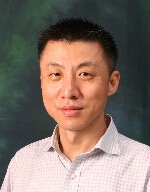 His research interests are optical communication systems and networks, fibre devices for optical communication and sensor systems.